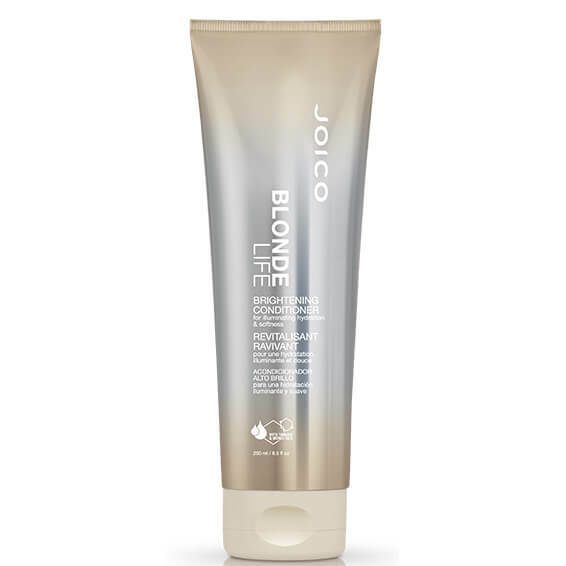 Enhance the radiance of your blonde hair with Joico's Blonde Life Brightening Conditioner for Illuminating Hydration and Softness, a revitalising and nourishing conditioner created specifically for bleached, double-processed or high-lifted blonde hair. Combining the weightless feel of a lotion with the high performance of a serum, the conditioner expertly softens and detangles whilst banishing brassy tones and promoting polished, radiant shine. Reviving the brightness of your blonde hair without weighing it down, the deeply nourishing emulsion contains a Bio-Advanced Peptide Complex that targets and helps reconstruct damaged strands, and an exotic blend of Polynesian and Tahitian Tamanu and Manoi oils that hydrate and increase shine. 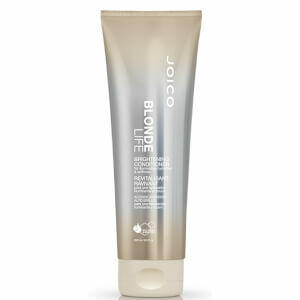 Hair is left illuminated with improved manageability and softness. Distribute a small amount evenly to freshly washed hair; allow to absorb for a full minute, then rinse.